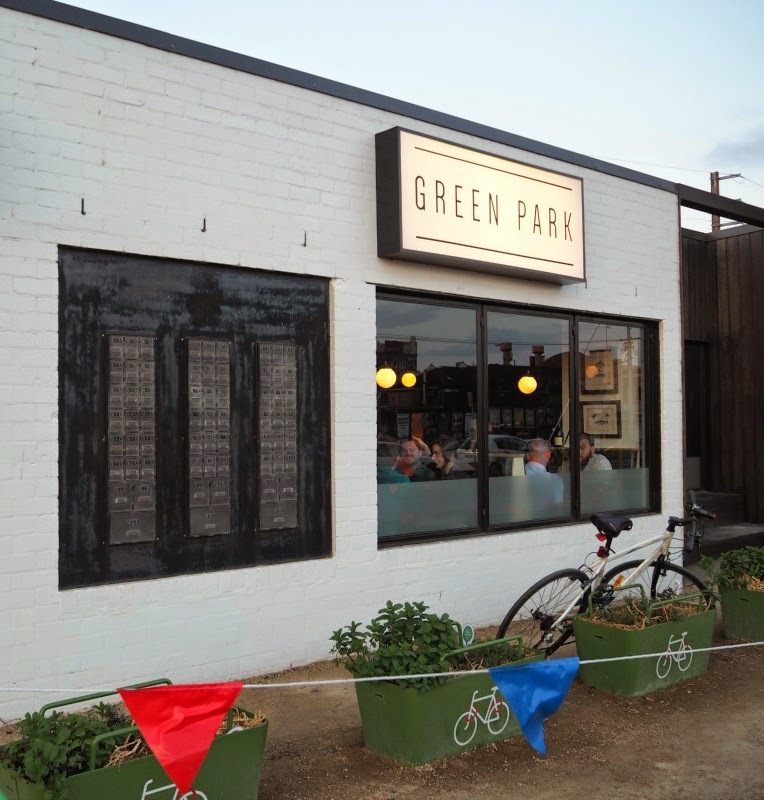 With Howard Stamp (ex Movida , Le Bon Ton) in the kitchen, Jamie Munro-Lynch (ex Charlie Dumpling, Ananda, Circa, Cutler & Co) on the floor and James Madden (ex Kirks, Merricote, City Wine Shop) behind the wine list (not to mention hot bartenders and baristas in the line up), it is an all-star cast of Melbourne hospitality pros. 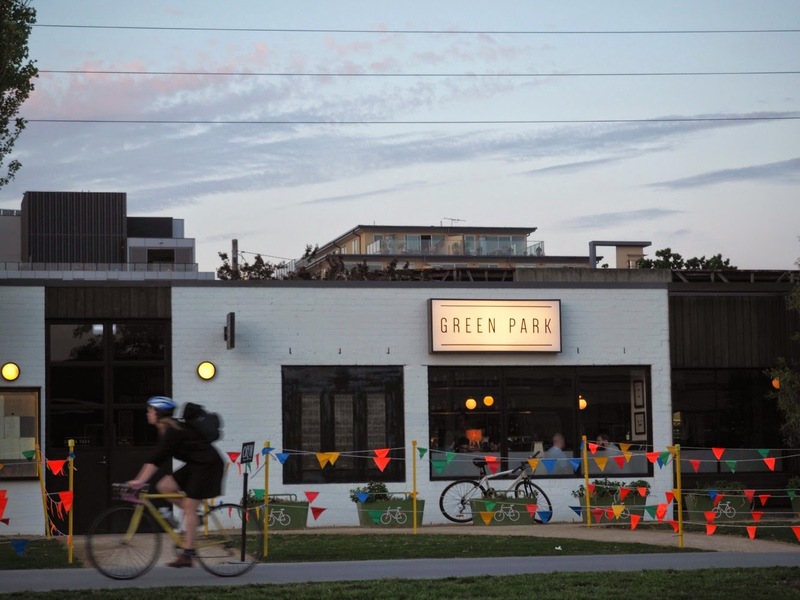 Add in a gorgeous refit by Eades & Bergman and Green Park is already settling into a chilled neighbourhood vibe. It took no time at all to decide we must have the fried rabbit. 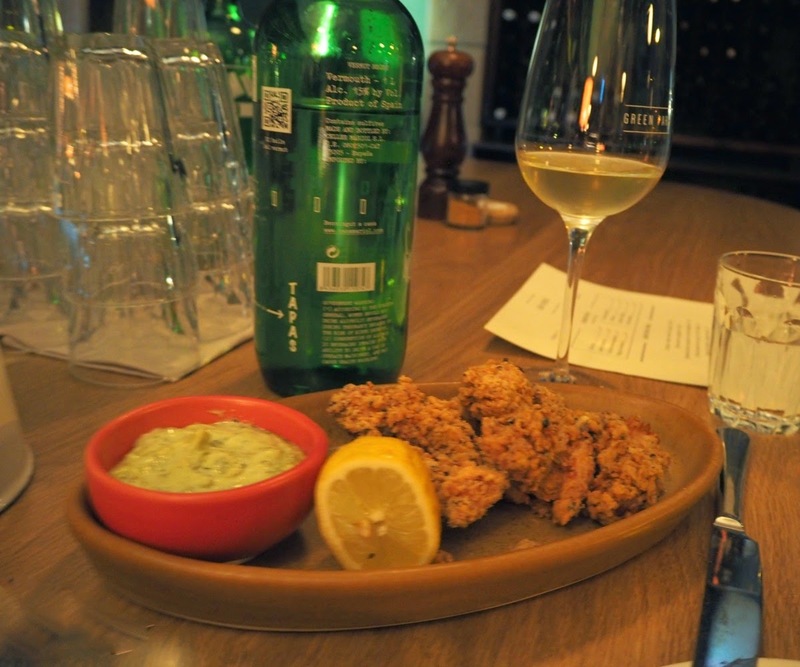 Tender strips of bunny in a crunchy coat with a buzz of spicy heat, served with a tarragon mayo. 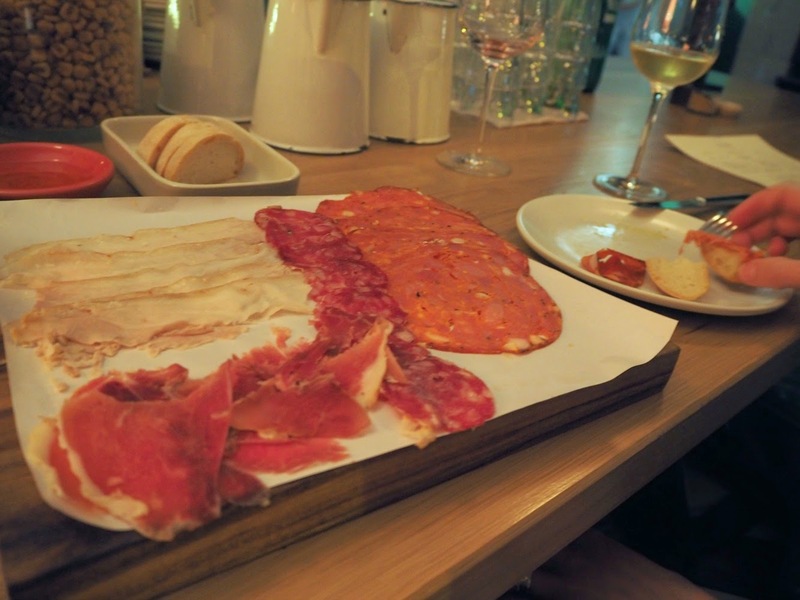 The charcuterie board came with Wagyu Bresaola, Felino Salami, spicy Morcon, a to-die-for house smoked pork belly; with a side of bread and good olive oil. 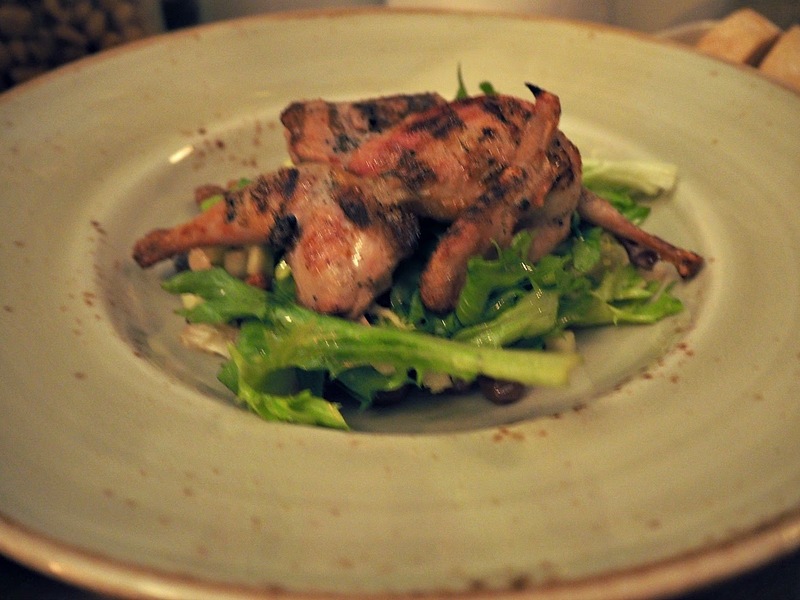 We figured we needed something green so went for grilled quail served on an endive and pinenut salad. The dressing really made this dish, made with chardonnay, it cut through the richness of the meat and I soaked up the remnants with bread. I would have licked the plate but, classy. Before I move onto dessert I need to rave a little about the wine list. 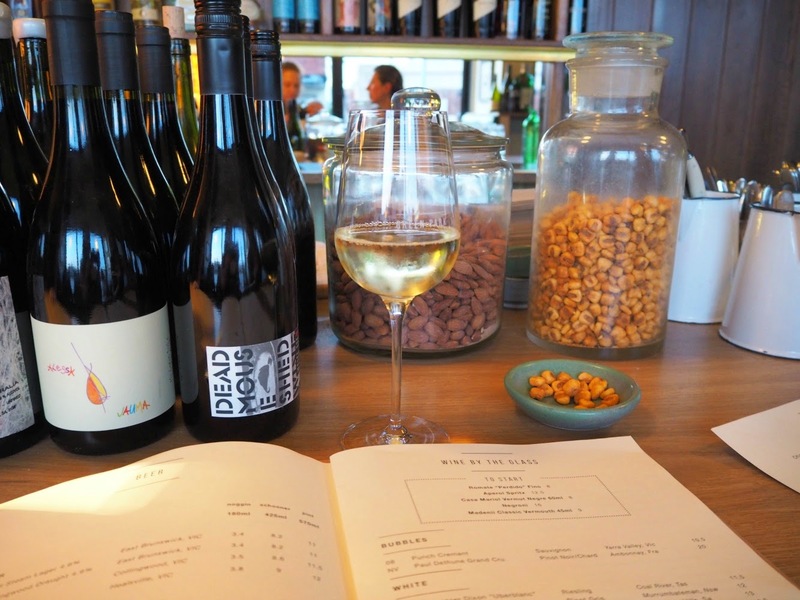 At a time when Melbourne Sommeliers are getting heat about a lack of local representation on the list, James Madden is going to win some fans with some seriously good local wines. Other than a Champagne and a sweet offering from Spain the list by the glass is an Aussie affair. As we were pondering that most difficult of decisions- bottle or by the glass, the bartender suggested we could work our way through more of the selection if he gave us a half-pour each. '13 Glaetzer Dixon 'Uberblanc' Riesling from Coal River, Tasmania. Sensational, just a hint of residual sugar to balance the crisp acid. '14 Jauma Chenin Blanc from Adelaide Hills. A wild fermentation with a slightly cidery nose and so food friendly. '13 Fairbank Rosé from Bendigo. A blend of Shiraz, Merlot and Cabernet, this wine is Provencal in style, the palest orange with pretty aromatics and gorgeous complexity. '11 The Wander Pinot Noir from Yarra. Pretty yet earthy, stemmy yet supple, an exercise in elegance. Possibly one of the best 'By the glass' lists I have seen this year. Frozen Chocolate and Hazelnut Aero Bar. 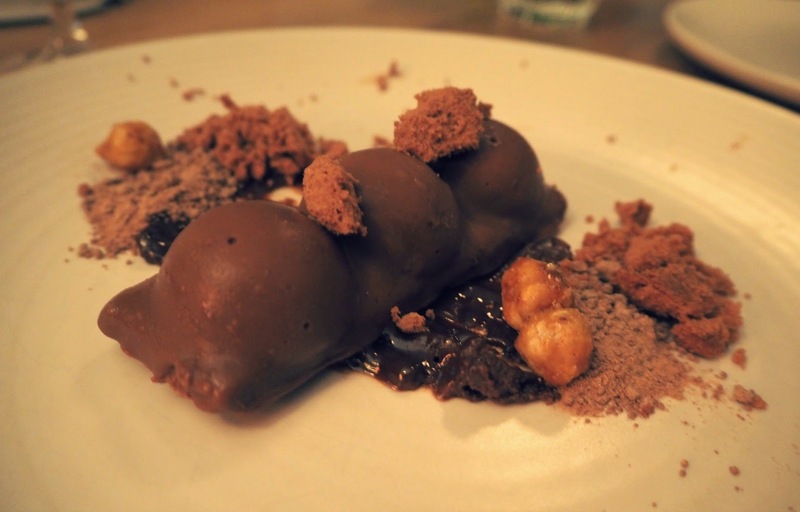 Rich ice cream in the middle, silky chocolate on the outside and surrounded by saucy, crispy, malty, nutty bits. Now there's a slogan: Saucy, Crispy..... no? 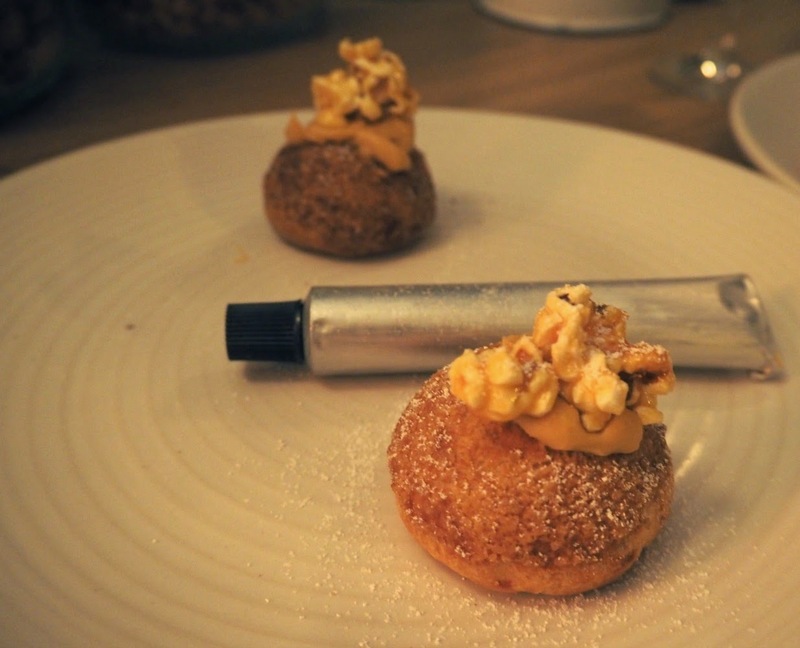 Salted caramel profiteroles topped with popcorn. In a splurge of interactive joy you get to squeeze in your own tube of caramel. I managed to suppress my squeals of delight. All class. Please note: This post is unsponsored. All opinions are my own and all food and drinks were paid for. It was such a great dinner. I can't wait to go back and try more of the delicious looking food. And of course, to sample more of that amazing wine list. Bring on the bloggers night, I say! Loooooooks delicious so YES I WILL BE THERE! Haha, you probably know more than me Cate. I am very lucky to live in Melbourne. I reckon it's the foodie capital of Australia.